When an emergency arises, HealthCare Consultants Pharmacy Staffing can provide you with a qualified, professional and experienced pharmacist to fill your needs in almost every emergency situation. 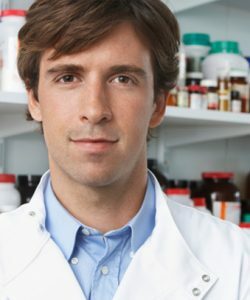 HCC is a nationally renowned pharmacy staffing agency that currently provides emergency pharmacist relief services throughout the Southeastern Unites States covering Florida, Georgia, Texas, North Carolina, South Carolina and Alabama. Every pharmacy owner has faced an emergency situation where the only solutions were to either find an emergency pharmacist to quickly fill their need or to shut their pharmacy’s doors. Emergencies such as an illness, death of a loved one, accidents or severe weather preventing an employee’s return happen much more frequently than most think or expect. In such situations, finding an emergency relief pharmacist who is licensed, experienced and professional becomes a task that can seem impossible to accomplish. Our emergency pharmacist staffing service is available 24 hours a day, 365 days a year. We maintain one of the largest active pools of emergency pharmacists in the nation, allowing us to quickly locate available, qualified and reliable personnel in or around your local area. Our proprietary online system allows us to match your needs with the most qualified candidate to work relief during your emergency. HCC also ensures that all of our emergency pharmacists comply with HIPAA requirements and maintain professional liability insurance. As always, with HealthCare Consultants Pharmacy Staffing, your satisfaction is guaranteed! Please also note that HCC can fill all of your emergency relief staffing needs regarding pharmacy technicians (in Florida only). HealthCare Consultants Pharmacy Staffing is the leading provider of qualified, registered, licensed and professional pharmacy technicians (CPhTs) in Florida for over 29 years now. As with emergency pharmacists, satisfaction with our emergency pharmacy technician staffing is fully 100% guaranteed! Whether you need an emergency pharmacist relief for just a day, a weekend or for several weeks or more, you can reach us 24 hours a day, 365 days a year, and rest assured that by choosing HCC, you’ve chosen the best. We urge you to be proactive regarding establishing a relation with us now. this way you can complete all the required paperwork before an emergency happens. Then, when you have need of an emergency relief pharmacist, we here at HCC will be ready to meet your needs so that you can rest easy. Please call us now at (800) 642-1652 or take a moment and Contact Us Online and an HCC staffing consultant will contact you as soon as possible to discuss all of your emergency and staffing needs.